Played at the beautiful and historic Riviera Country Club, the Genesis Open always draws a crowd of top PGA Tour golfers to compete. 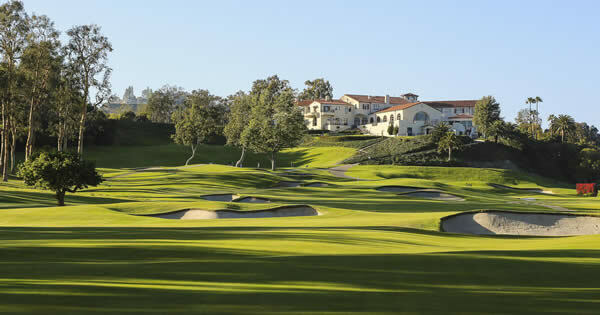 Set in the Pacific Palisades in California, Riviera is one of the Top Golf Courses on the PGA Tour praised for not only its spectacular beauty, but as a great challenge to players. 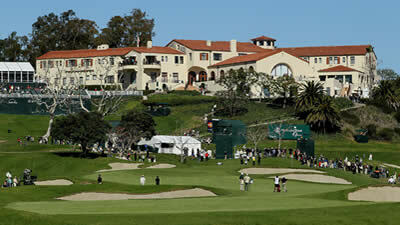 The 2019 Genesis Open took over for the Northern Trust Open, which moved it's sponsorship name to replace the Barclays, will once again feature top golfers competing for the 1st place prize of over $1.2 Million. Fantasy Golf fans will want to use course history as one of their top strategies when making a lineup for any cash lineups they make…or just play in a FREE Fantasy Golf Contest for the Genesis Open. Designed by - George C. Thomas, Jr.
We are asked a lot about how many Top Fantasy Golf Sites should you join? Our answer is always – “All of Them”! They all offer something different for players which can be a strength for some, or a weakness for others. New sites have overlays that greatly improve your chances of cashing in and they all have some sort of Free Fantasy Golf Contest to play in each week to try out skills or maybe even win some cash. Check out our list of the Top Fantasy Golf sites and join them all. It doesn’t cost you anything to join and you may find one that’s better than what you are playing on now. 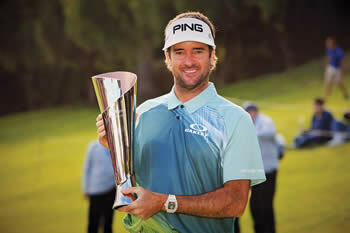 Why you need expert picks for the 2019 Genesis Open? Having a hard time making fantasy golf picks? Tired of just getting lineups and plugging in players? Why not try out RotoQL.com and learn how to make your own fantasy golf picks. Founded by one of the best DFS players ever, RotoQL is more of a system to teach you how to make picks as opposed to just giving you picks. RotoQL is a system that will show you how the DFS pros make their picks and who knows...maybe you'll get good enough to start selling your own expert fantasy golf picks! Try them out for this year and see how profitable you can become!